The wine business attracts them: People who want to make wines they like and don't worry about how they're going to make money. Thus I present Matthew Rorick, who recently left his day job as winemaker at Elizabeth Spencer Wines in Rutherford to pursue his own label full-time. I've met plenty of winemakers who are bad businessmen, but Rorick sets a new standard. "Now it's just lost causes all the time," Rorick says. Rorick made less than 1,000 cases of wine this year -- and he made 15 different wines! It's a marketing nightmare, because as soon as a restaurant or store discovers a fan base for one of his offbeat grapes, he's sold out. He can't hold on to shelf space or a restaurant wine list placement. And it gets worse: Most of his wines are unusual varietals from tiny vineyard blocks from less-heralded wine regions. If Alta Mesa Torrontes and Suisun Valley Petit Verdot sold themselves, he'd really have a business plan. Even when he gets grapes that people have heard of, he's not a sure bet to make an easy-to-sell wine. He bought some Riesling this year from Kick On Ranch in Los Alamos, so he's planning to make 72 magnums of sparkling Riesling with half of it. With the rest, he's hoping to put it under a veil of yeast like they do in Jura. It's hard to say which is crazier. 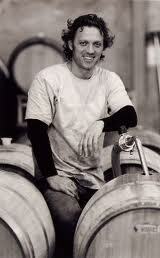 Rorick, 39, graduated from UC Davis' Department of Viticulture and Enology in 1999. He has family in Napa Valley and the easy course of action would have been to make some big Cabernets. Instead he did a series of harvest internships and temporary jobs on three continents before going to University of Chicago to study anthropology. He gave that up after a year and looked like he was settling down: Three years at Miura Vineyards, five years at Elizabeth Spencer. During that time, he got the bug many winemakers get to produce his own label, starting with a Petite Sirah, a Petit Verdot, a Syrah and a Tempranillo. That list of single-varietal wines looks mainstream compared to the 15 he's making now, including Alvarelhao, Charbono, Ribolla Gialla, Verdelho, Gamay, Barbera and what he believes is the only St. Laurent in California. "They've only got 90 vines," Rorick says of the St Laurent, an Austrian grape he found in Carneros. "The grower was looking for something that would ripen in between his Pinot and his Syrah. As it turns out it ripens when the Syrah's ripe." The St. Laurent typifies the type of wine Rorick is shooting for: Funky, expressive, unusual. It has dark cherry fruit on the palate with a gamy, menacing undertone. As Rorick says, it's a hand-sell, which would be easier if he had a salesman working for him, but of course he doesn't. I've still understated how bad a businessman Rorick is. His wines currently run from $20 to $42 a bottle, which isn't expensive considering they're all unique, tiny production wines. Even though he's not making money, he wants to bring down his highest prices below $25, mainly because the young crowd of enophiles who have discovered him aren't the same people who read Architectural Digest. "Maybe I'm just not tapped into the group of wine consumers who would taste this bottle and say, 'I'd be happy to pay $35 for that,' "he says. Rorick does have some followers, and you can tell why from his feelings about California wines: "There is so much more that California can do aside from Cabernet and Chardonnay and the grapes that everybody recognizes. There are so many microclimates, so many soil types. I still love drinking European wines, finding regional specialties. Whatever I can come across that I never had before. But we can have that here too. It can be exotic but still domestic. I don't think there will ever be demand for 10,000 cases of Alvarelhao. But this is what drives me, what drives the whole project. It's really about variety, and not just variety for variety's sake, but the right thing in the right place." Every one of his wines has a story about how he found them, like this tale of how he met farmer Ron Silva. "I got the California crush report for 2006 and saw that somebody in the Alta Mesa appellation had reported crushing two tons of Torrontes," Rorick says. "It took me a year to find it. I drove out there in '07, and Ron said, 'I've just grafted over some vines to Torrontes. I don't have any this year. Next year I can give you some. But I just started picking some Alvarelhao. You should put a half-ton in the back of your truck.' I thought I had to take it or I'll never get the Torrontes." So now he makes both. Rorick never uses new oak, and tries to use natural yeast and minimal sulfur, but it's not fair to call him a minimalist. He's intentionally holding his Napa Valley Semillon back from market so it can develop secondary aromas, and the 2007 I tasted was one of my favorites of his wines. He also now separately vinifies the four Portuguese grapes in his "Mil Amores" red blend because he didn't like the proportions of the true field blend. And he has strong feelings about fermentation temperature control: He wants it warmer than most winemakers, which is why he crushes everything by foot. "You can tell if it's running hot," Rorick says. "Maybe the cap is hot but the juice beneath it is cool." This is why I love bad businessmen. I can't get over the image of this onetime anthropology grad student knee deep in four different kinds of Portuguese red grapes, daydreaming about anything but how to sell the wine he'll eventually make. "I'd love to make money," Rorick says. "But I really want people to drink the wines."